This Official Samsung Protective cover in black is the perfect accessory for your Galaxy S10 Plus smartphone. The product arrived quickly and was the right fit for my device. The color was exactly as I expected it to be. I like that there are two options for kickstands. I feel that my device is well protected now, and that the case I chose was a good decision. 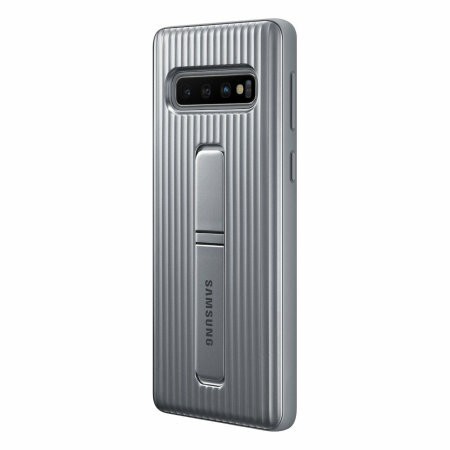 This is the best case for me (Samsung S10 plus). - Not too bulky, and that was a concern considering the kickstand. - the aluminum feels great without adding to much weight. - I wish this case would be offered in black. While the silver is nice, I like a more discreet case, and I don't like blue. Other than that I haven't drop tested this case (and don't plan too), so I can't attest it's screen protection ability. Still, this case feels premium and has all the features I want. Designed to provide optimum protection for your Samsung Galaxy S10 Plus, this official protective case offers MIL-STD 810G - 516.7 Certified Military Grade Drop Protection. This means that the case has been extensively drop tested, without any damage being caused to the S10 Plus, so you can feel reassured that your device is well protected. Thanks to the bumper design, your Galaxy S10 Plus won't incur any unnecessary bulk - helping to keep your S10 Plus as slim and light as it was originally designed to be. Never be worried about accidentally dropping your Galaxy S10 Plus again. 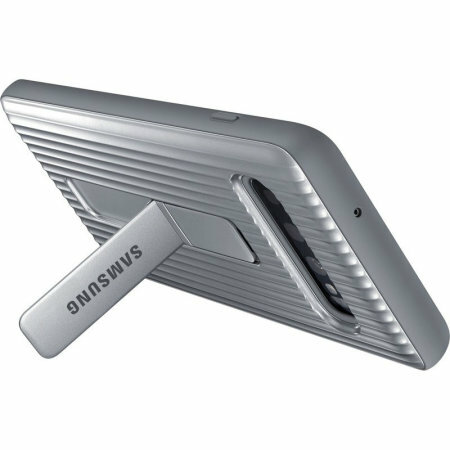 With the textured, tactile surface on the Official Samsung protective cover providing extra grip, you can be sure your phone will remain in your hand while you're texting, streaming video, calling friends and family and much more. 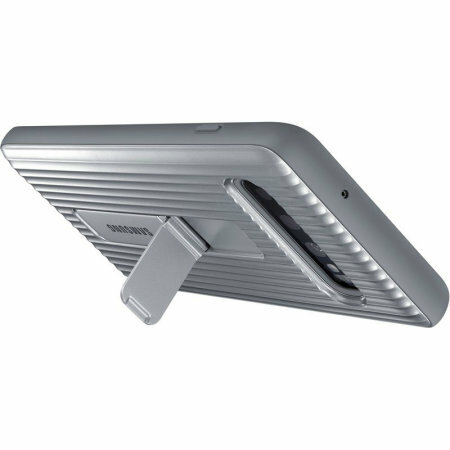 This is an official Samsung product, so is made to the highest standards with the best quality materials. 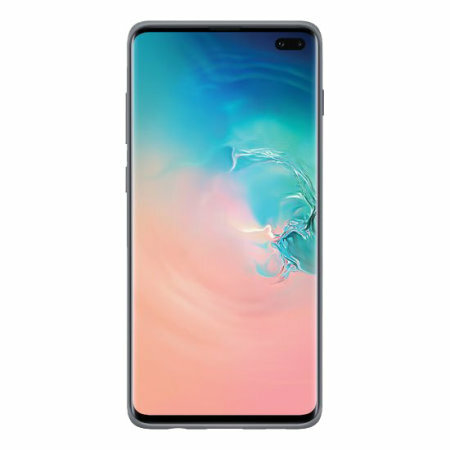 It is designed specifically for use with the Samsung Galaxy S10 Plus, so offers a perfect fit and does not impede the use of any of the functions such as the power and volume buttons, headphone and charging ports, or front and rear cameras. 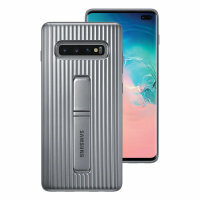 The case also features cut-outs for the ports and features of the Samsung Galaxy S10 Plus, including the dock connector and camera.